If you’re feeling a bit tired and restless, or if your skin is looking quite lifeless and dull at the moment – welcome to the club, you certainly aren’t the only one. A lot of ladies feel like that these days simply because they don’t have enough time to take proper care of themselves on a daily basis due to a tight schedule. Well, this is exactly why we’ve come up with six useful daily tips on how to feel healthy and beautiful, both on the inside and on the outside. Check them out and enjoy! A lot of experts say that breakfast is the most important meal of the day, and you know what? We completely agree with this claim, which is exactly why you should never skip it. In case you weren’t aware of it, healthy breakfast in the morning will jump-start your metabolism – particularly if it’s packed with nutrients found in eggs, whole grains, and fruits. In fact, the proper amounts of vitamins, protein, and unprocessed carbohydrates will keep your weight under control while lowering your cholesterol levels at the same time. Apart from that, eating your breakfast will also restore your glycogen and insulin levels, which will keep you full until lunch, without feeling the need to reach for unhealthy snacks or sugary drinks. That’s why you shouldn’t skip this meal under any circumstances – even if you’re in a hurry in the morning. Just prepare a healthy homemade meal the evening before, store it in your fridge, and eat it the following morning before work. As simple as that! 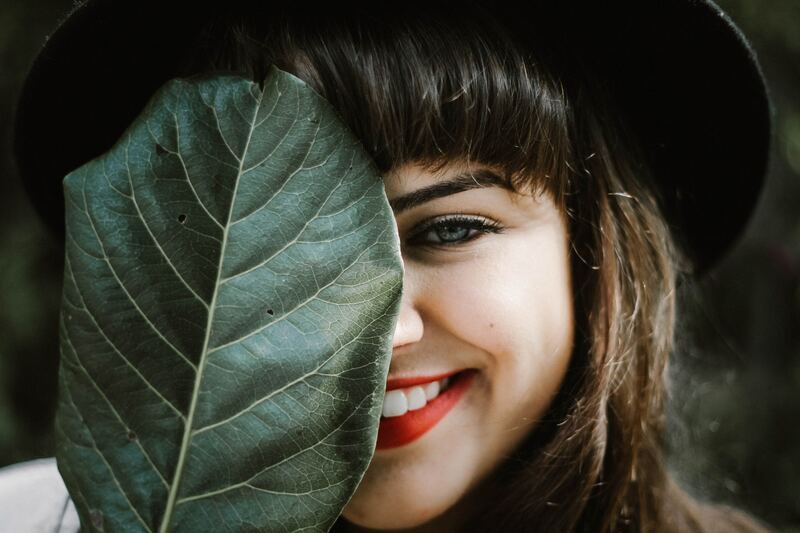 Taking proper care of your teeth is much more than just having a pearly white smile – it’s actually about keeping your mouth fresh and healthy as well, which is why you should take your oral health care to the next level. First of all, get a quality toothbrush, interdental brushes, mouthwash, and dental floss. You should brush your teeth at least twice a day, as that’s the only way to remove food residue from all the surfaces of your teeth. When that’s done, use dental floss to remove food residue that got stuck between your teeth. Of course, you can always rely on interdental brushes, too, which are amazing for spaces in between your teeth, around crowns, bridges, implants, and other orthodontic appliances. Once you upgrade your oral hygiene routine, you’ll start to see a huge difference gradually! Everyone knows that drinking enough water on a daily basis is an absolute must, but do you know why is that so? Well, that’s primarily because our bodies are made up of about 60% water, which is why we need to drink it regularly if we want our vital organs to keep functioning properly. In fact, drinking water maintains the balance of bodily fluids that include your digestion, circulation, maintenance of body temperature, transportation of nutrient, and creation of saliva, which makes this precious liquid even more important if you ask us. Besides that, hydration is a vital part of any physical activity, too, and it’s particularly important when it comes to intense workouts and exercising during high heat. If you fail to keep your hydration levels high, your physical performance will suffer, so do your best to stay properly hydrated no matter what. Needless to say, sufficient water intake plays a huge role when it comes to your skin as well, as dehydrated skin tends to look extremely dry, patchy, and flaky. So, drink a glass of water every hour and you’ll see what we were talking about! You simply can’t feel healthy and beautiful if your skin isn’t under control, so make sure to establish a good skincare routine and stick to it no matter what. This goes for both your face and the rest of your body, so find the products that work for you and use them religiously. First of all, you should cleanse your face thoroughly twice a day – in the morning and before bedtime, so that you remove all the dirt, oil buildup, and makeup residue that can potentially clog your pores and wreak havoc on your skin. Exfoliation is a must, too, so exfoliate both your face and your body no more than two times a week. The next step is a moisturizer as it’ll keep your skin properly hydrated, smooth, and nourished to the max. Of course, you can always try out amazing Korean sheet masks everyone’s raving about these days. They’re so popular among the ladies because the sheet creates a seal which prevents the mask’s essential ingredients from evaporating. It therefore helps them penetrate much deeper into the skin that way, which is exactly what you need if your face craves extra care! If you work out regularly, you surely know that exercise is one of the best ways to give yourself a lift, right? The fact is that physical activity helps you relax, unwind, and let go of your worries at least for an hour, which is why many people call it an antidote to the daily pressures of life. Apart from helping you to stay fit and healthy, working out can also lower your stress levels and relieve anxiety, which are the fantastic benefits you should definitely take into consideration. However, the most important thing is to find a workout program that suits your fitness level and overall health condition in the best possible way. Basically, this means that going for an intense workout at a local gym isn’t actually everyone’s cup of tea, so be too hard on yourself and have a few other options to consider. For example, if you haven’t been working out for a long time, you should take it easy and take one step at a time. A brisk 15-minute walk every morning will be more than enough at the beginning, and you can gradually switch to gym workouts later on. Just listen to your body and you’ll do it right! Sleep should be an extremely important part of everyone’s life simply because it impacts your overall well-being in more ways than you can possibly imagine. Do you remember the last time you woke up after a sleepless night? How did you feel? We bet that you felt quite grumpy and even anxious, right? Well, that’s because sleep deprivation affects your focus and decreases your productivity in the first place, which is exactly why you need to get at least seven hours of sleep every night. Besides that, having enough snooze time is highly likely to keep inflammation and serious illnesses at bay. Some studies have shown that short-sleepers are at a far greater risk of stroke and heart disease than those who get between seven and eight hours of rest every night. When you feel well-rested, you’ll also start to feel much healthier and livelier at the same time, plus you won’t have to deal with those hideous dark circles and puffiness under the eyes. Does it get better than that? Not really, so get enough good night’s sleep and you’ll see a fantastic improvement shortly! As you can see, there are a lot of amazing things that can help you feel healthy and beautiful, both on the inside and on the outside, and these six are unquestionably the best ones out there. If that’s your ultimate goal, all you have to do is to stick to our tips and guidelines and you’ll undoubtedly make it happen – that’s a promise!